Hello! Sorry if I’ve been a little quiet on here over the past week. I kept up as best I could whilst I was away, but am otherwise getting back to normal now. Those of you who follow me on Twitter or Instagram are probably sick of me talking about how incredible my third trip to Iceland was, but I still wanted to put together a little post sharing a few of the highlights nonetheless. I hope you can indulge me, and that the pictures convey even a small amount of the beauty the country has to offer. Hraunfossar, a series of waterfalls flowing off the edge of a lava field. 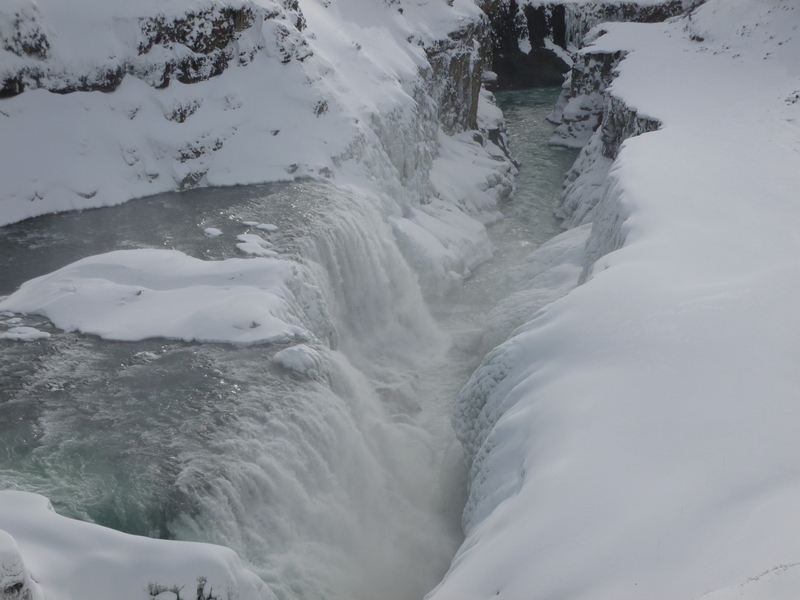 Barnafoss, a neighbouring waterfall that runs through the valley, so cold, clear, and powerful that the water appears blue. Walking through a series of tunnels and caves carved inside a glacier, 30 metres below surface level. They even have a bar and a chapel down there! The way light played off the ice crystals was amazing. Seljalandsfoss, found near the south coast. Notice the tiny person in red on the right for an idea of scale. The Icelandic countryside, and a charming old turf church. Jökulsárlón glacial lagoon, where ice breaks from a glacier and is carried out to the ocean. I was blown away by the sheer scale and overwhelming presence of this place. It’s a cliché, but pictures will never do it justice. With the ice constantly melting and shifting in the tide (you can literally hear it creaking as it moves), the view is ever changing. 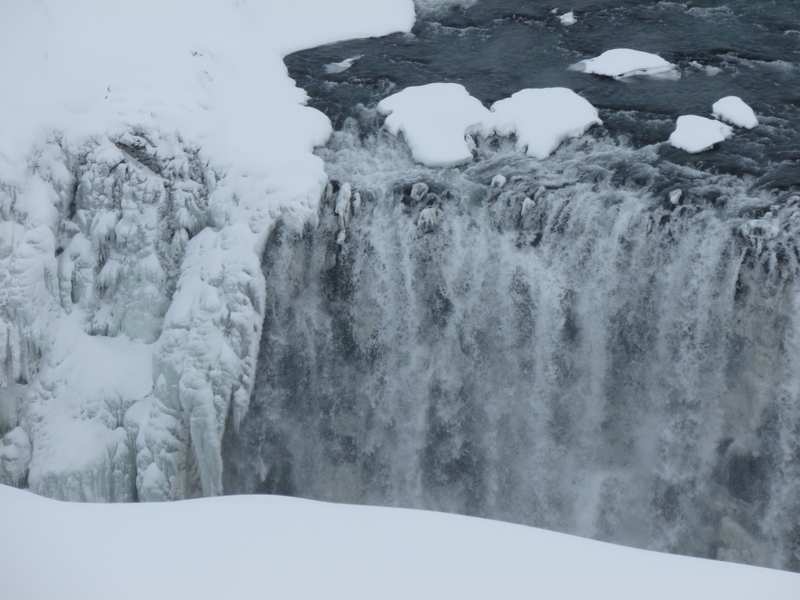 Skógafoss, another powerful waterfall found in the southern region. 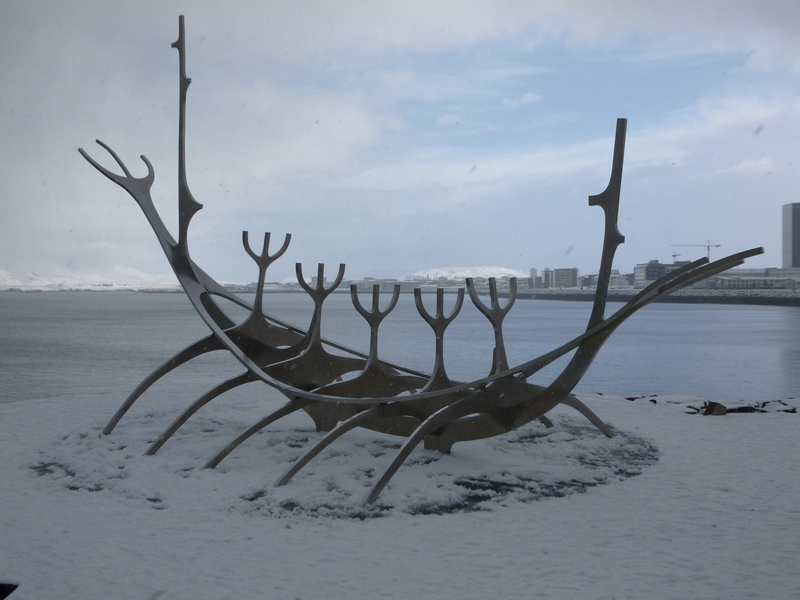 Harpa, Reykjavik’s main concert hall, and The Sun Voyager, a Viking inspired sculpture. 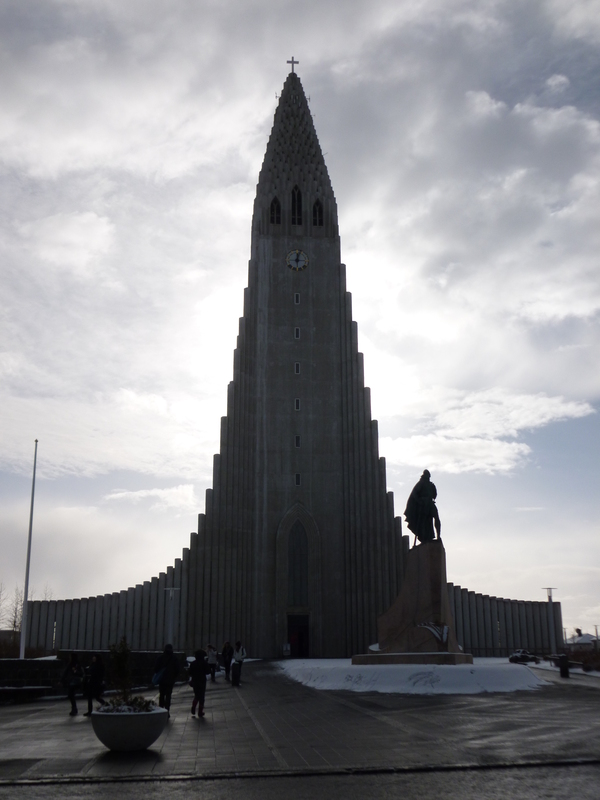 Hallgrimskirkja, from outside and in. The garden at the Einar Jónsson Sculpture Museum, which is free to look around, and features some gorgeous pieces. Dusk at the old harbour in downtown Reykjavik. A lovely view of the city, against a backdrop of the ocean and mountains beyond. 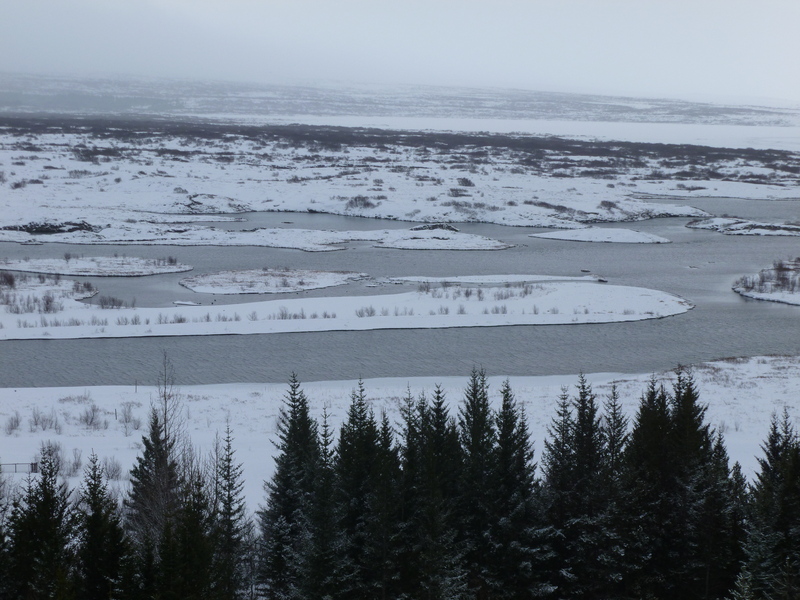 This was taken from the top of Perlan, a fantastic museum, planetarium, man-made ice cave, and viewing station. … and I’m already eager to plan a 4th visit. Today in my series all about sharing bookish love, I’m shining the spotlight on Dieter Braun, a German illustrator who has released two companion books, Wild Animals of the North and Wild Animals of the South. Each celebrates the variety of species native to its respective hemisphere, with the animals depicted in Braun’s gorgeously vibrant and expressive art style that has an almost geometric inspired quality to it, making it a unique and instantly recognisable style that I love. I could open either of his books on pretty much any random page and would happily have it framed on my wall. The pictures are accompanied by simple but fun facts about the animals’ characteristics, habitats and suchlike, like how a single humpback whale can weigh as much as six adult African elephants; giraffes have the same number of vertebrae in their necks as humans; and macaws can live for up to 60 years and mate for life. These add an extra layer to the books and make them suitable for all ages, which I also really appreciate. In fact, I think they would make particularly wonderful gifts for any lover of nature or art. Aside from that, there’s not much else to say, so I’ll just let his work speak for itself. Some examples of Braun’s beautiful artwork, taken from his two books. Today is Earth Day – a movement designed to encourage celebration and conservation of our natural environment. To show my support, I thought I’d let Mother Nature speak for herself and simply share a few pictures of one of my favourite places in the world: Perthshire, the area of central Scotland which I call home. I hope you enjoy the snaps and have a lovely Earth Day! The sunsets here can be pretty intense. There’s plenty of nature to enjoy. We get a fair bit of snow in winter. And contrary to popular belief, sometimes the sun even shines. Only sometimes, mind you. It’s a different and random little post today but I think it’s important to share the things we care about, and having visited Iceland earlier this year, I can tell you that it makes me incredibly sad to hear that much of its iconic wild habitat and rugged beauty is under threat of destruction. There are government plans to lay roads and construct power plants in the Icelandic Highlands, which is currently one of the largest uncultivated and uninhabited territories in Europe. These lands have remained untouched throughout all of time and it would be such a tragedy if money hungry politicians spoiled that now. There’s a site that explains it all better than I ever could, as well as a petition that aims to show that people from around the world are against this sad waste of natural splendour, so if you want to take a look that would be great. 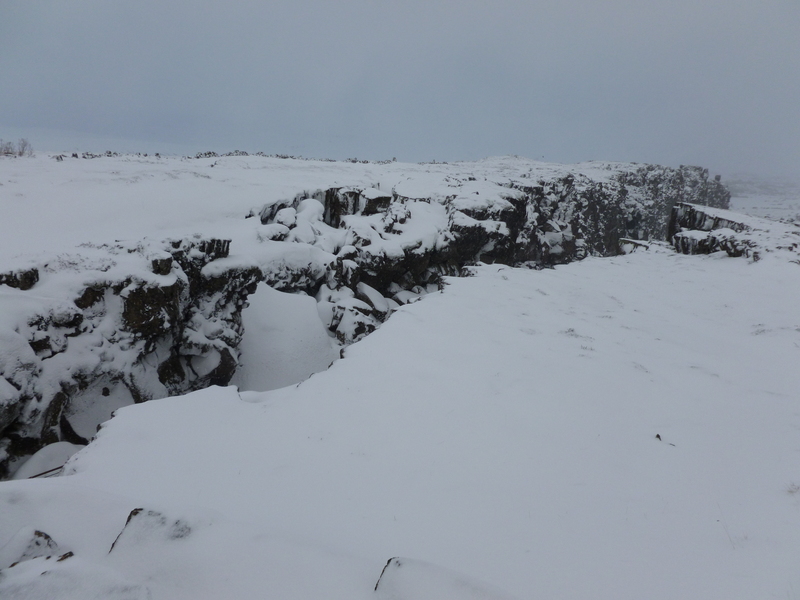 I thought I’d share a few snaps from my time in The Land of Fire and Ice, which in spite of my seriously lacking photography skills, hopefully show a little glimpse of just how special a place it really is. A natural fissure where the volcanic earth has been pulled apart. A lovely view of the ocean, right from the banks of the capital city. 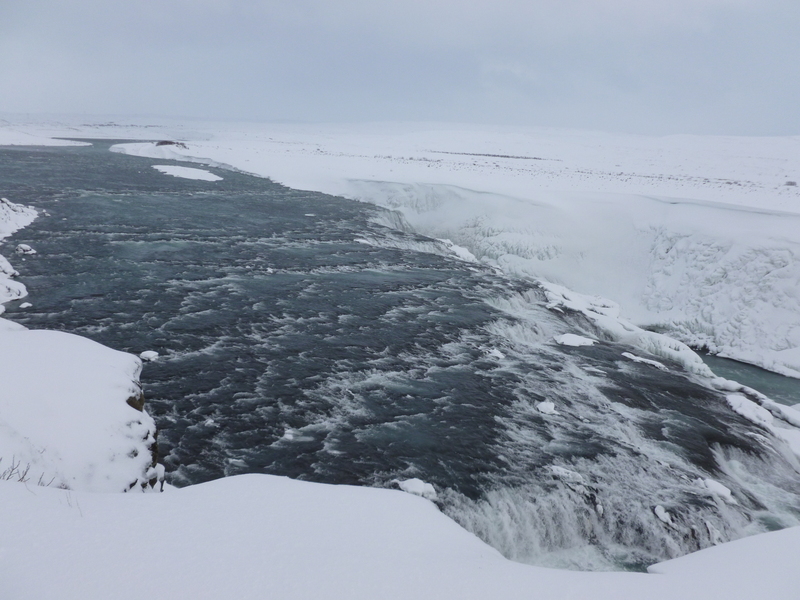 The flow of water that feeds into Gullfoss. Þingvellir, a National Park and World Heritage Site near the capital city that includes the country’s largest natural lake. 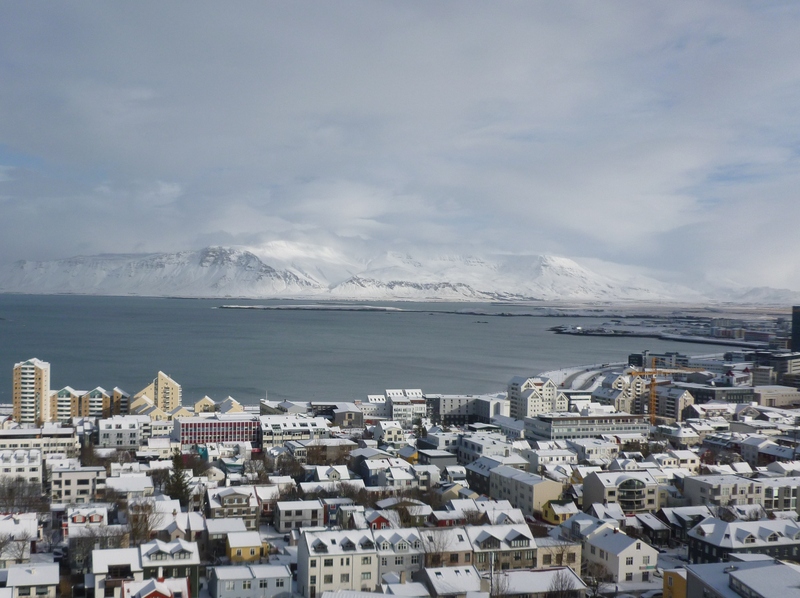 The view over Reykjavik and the mountains beyond from the top of the stunning church, Hallgrimskirkja. I’m back from my long-dreamt-of trip to Iceland and can in all honesty say that despite years of anticipation, it did not disappoint. The beauty of the landscape is unlike anything I have ever witnessed (and I’m lucky enough to live in some of Scotland’s most striking highlands). The culture and atmosphere were both warm yet relaxed – unlike the weather! Of course, my inner-geek also marvelled at how heavily modern life and history there revolve around literature and storytelling (they actually have the highest number of bookshops and the most imported/translated books per capita in the world). All in all, it was a fantastic experience, and I already hope to return one day to explore more of what this fascinating country has to offer. 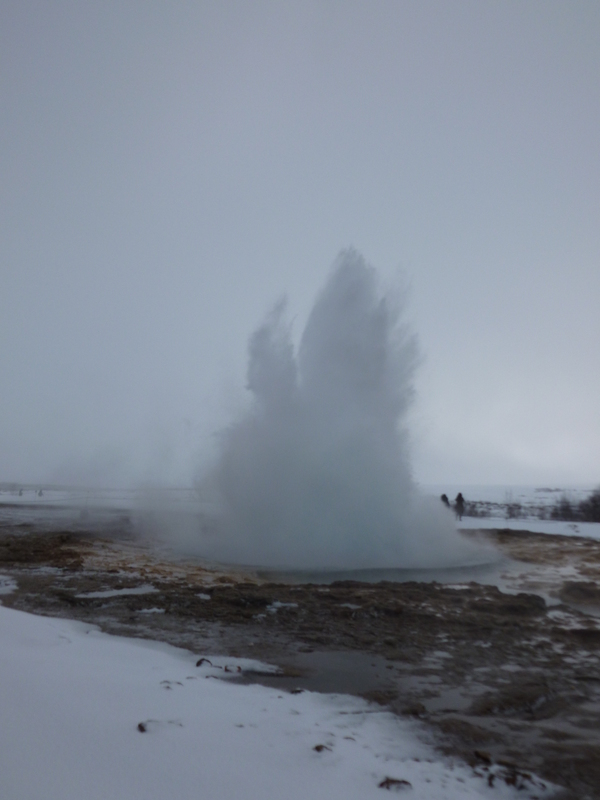 Here are just a few snapshots from my time in the land of fire and ice. The view over Reykjavik from the top of the stunning church, Hallgrimskirkja. The Sun Voyager, a popular sculpture and viewing point for the ocean beyond. Gullfoss, a mesmerizingly beautiful waterfall that is without doubt one of the most stunning sights I’ve ever seen. No pictures or words can do justice to its sheer scale and presence of power. It was like stepping onto another world and has to be seen to be truly believed. 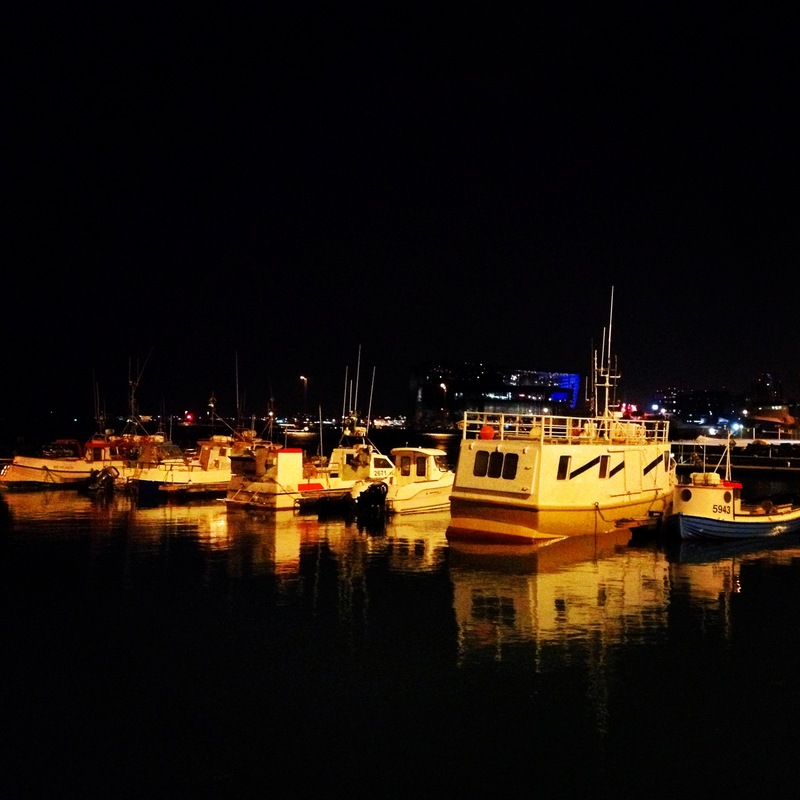 The old harbour at night. 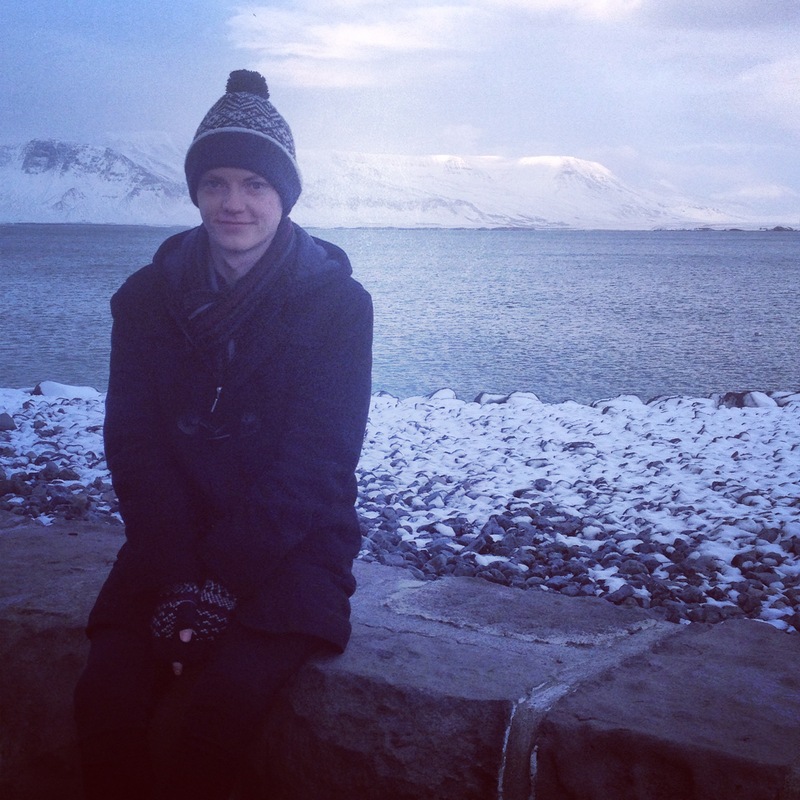 To look at the gorgeous view of the ocean and mountains behind me, you wouldn’t know this was taken at the heart of the city centre, right beside Harpa, the world-renowned concert hall and home of the symphony orchestra: Nature is never far away in Iceland. 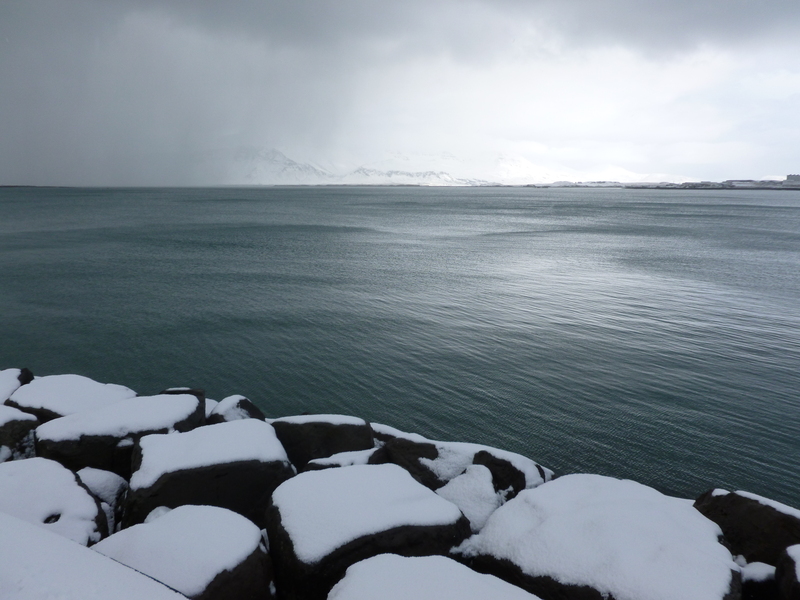 I’ll leave it at that for now, but I hope this gives even a small taste of the wondrous place that Iceland is. I’ve never been anywhere that felt more harmonious when it comes to the balance between modern, convenient living and utter respect for the natural world. I highly recommend you visit should you ever get the chance.